We are now shipping the new BrandMap 8.0! If you have purchased BrandMap 7 on or after November 1, 2009 or you have a maintenance contract then there is no charge for this version. Contact Sales for pricing and upgrade information! Now you can produce BrandTrend® charts directly from Excel data! The easiest way to produce trend charts! Now, more than ever, you need to know the impact of your individual media and marketing efforts. Now you can with BrandTrend XL, a break through in media and marketing analysis. All you need is Excel, your trend data, and BrandTrend XL. Take advantage of the new 2009 pricing for Survey Explorer! The developers of Survey Explorer are lowering their prices on unlimited licenses for both you and your clients. This is your chance to equip all of your users and clients with an advanced desktop analytical and reporting tool at an unbeatable price. 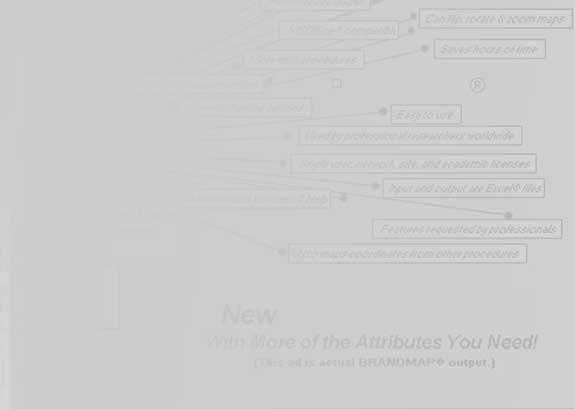 We are now shipping BrandMap 7! BrandMap 7 is fully compatible with Excel 2007 and Windows Vista. BrandMap 7 also works with all versions of Excel XP and later. Contact Sales for pricing and upgrade information! No need to “OK Macros” when loading BrandMap!